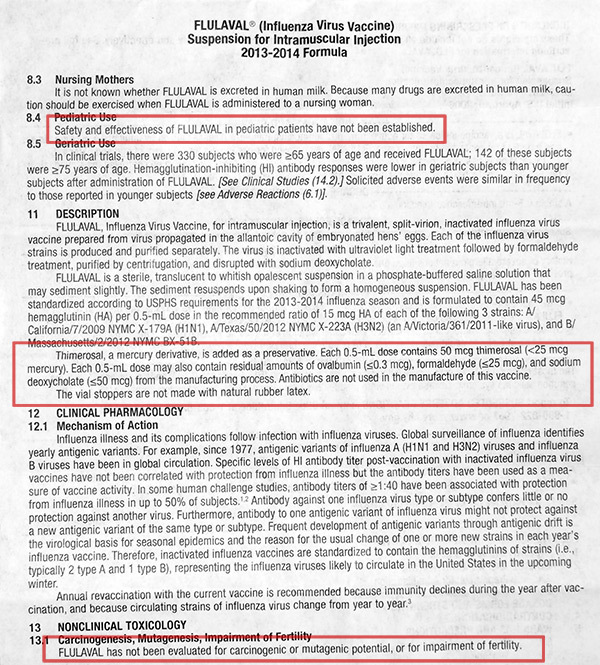 Highlighted in yellow on the flu vaccine package insert. 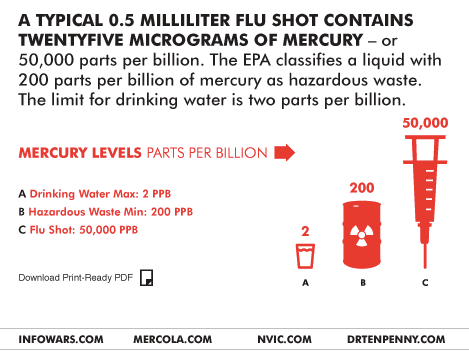 Contains mercury which has been implicated to cause autism (and possibly Alzheimer's). 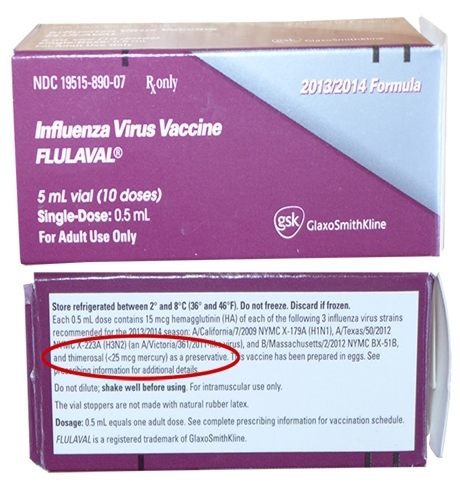 You may want to rethink your flu shot this fall. They will tell you that it is too small of an amount but many people disagree.